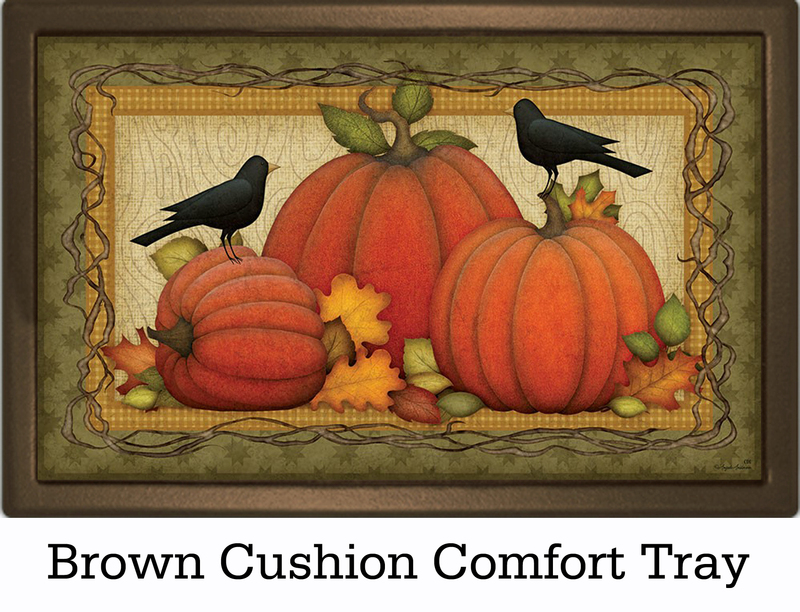 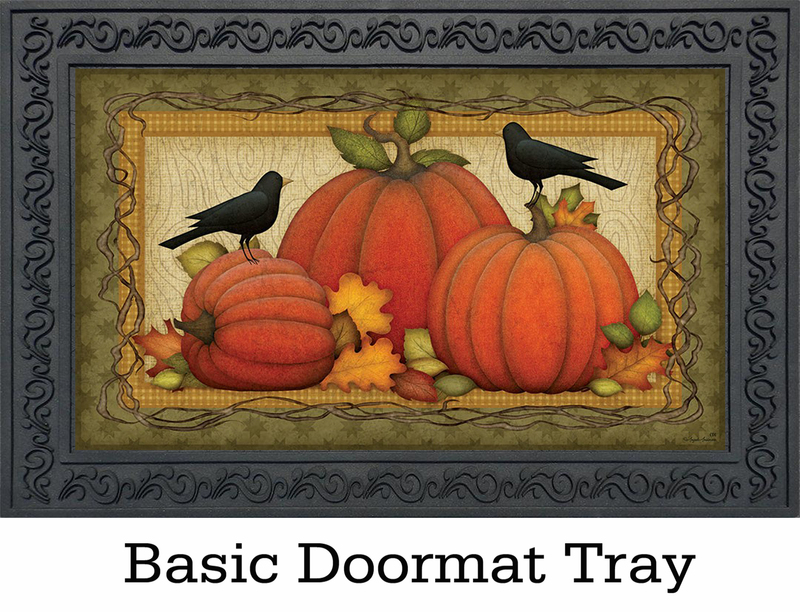 Greet guests to your home this fall in style with this festive and spooky Pumpkin Patch Crows insert doormat. 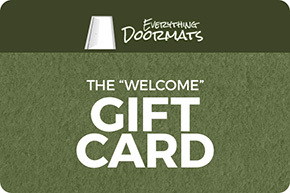 Our insert doormats are unique in that they are designed to be paired with with our indoor tray or outdoor trays. 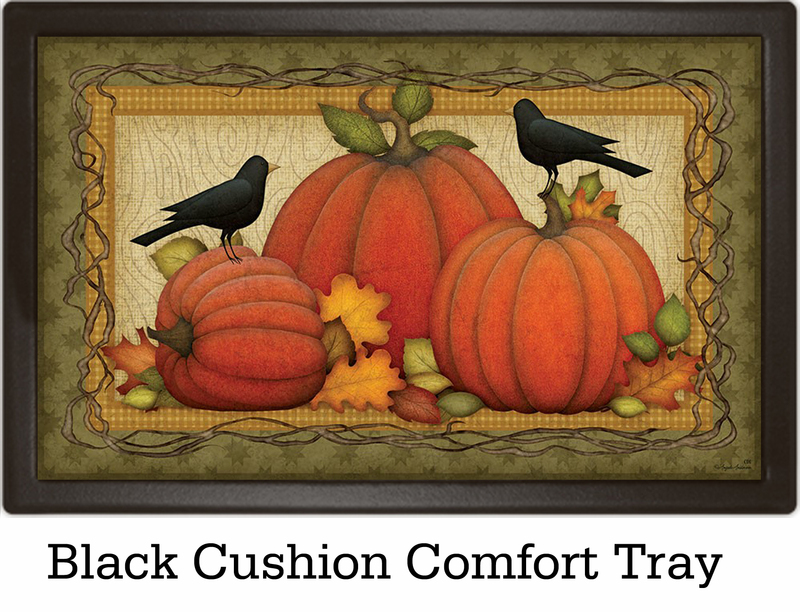 These trays can give your mat an upscale decorative look if you use the outdoor tray or an ergonomic standing surface if you use one of our indoor trays. 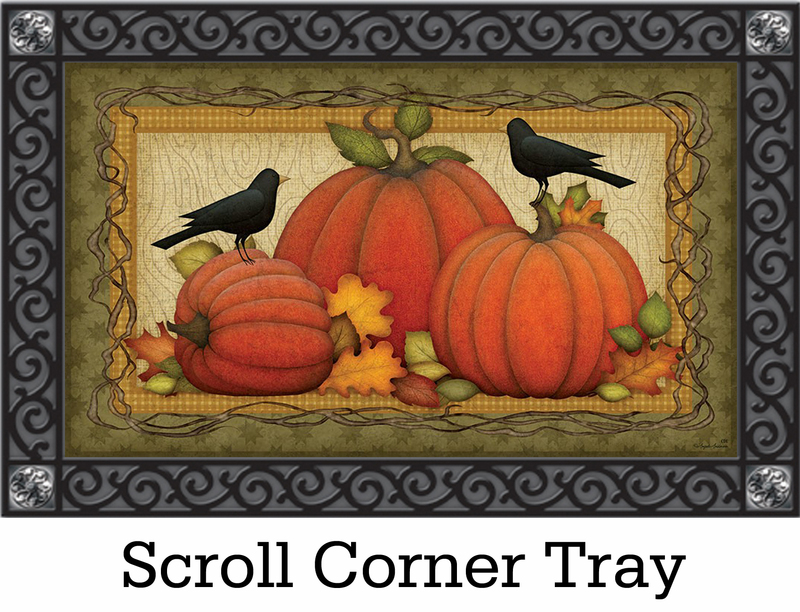 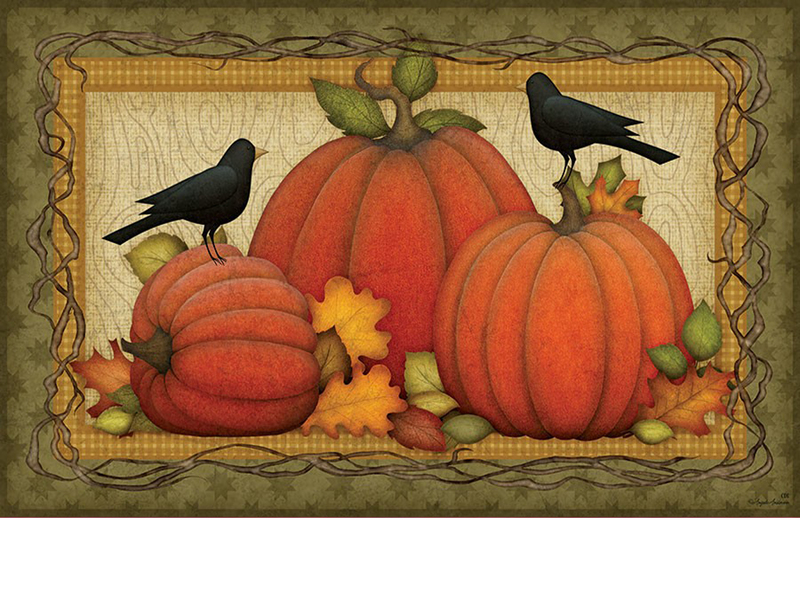 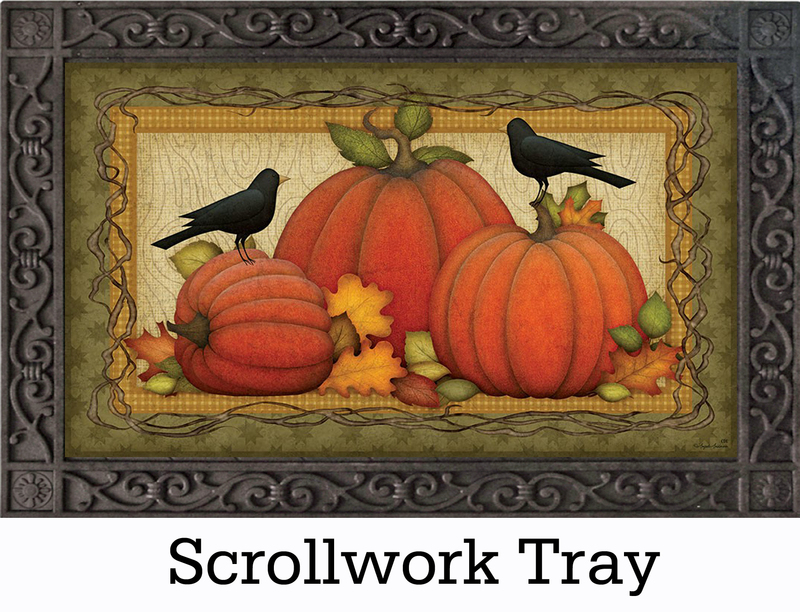 This Pumpkin Patch Crows insert doormat is 18" x 30" when used as a stand-alone mat.